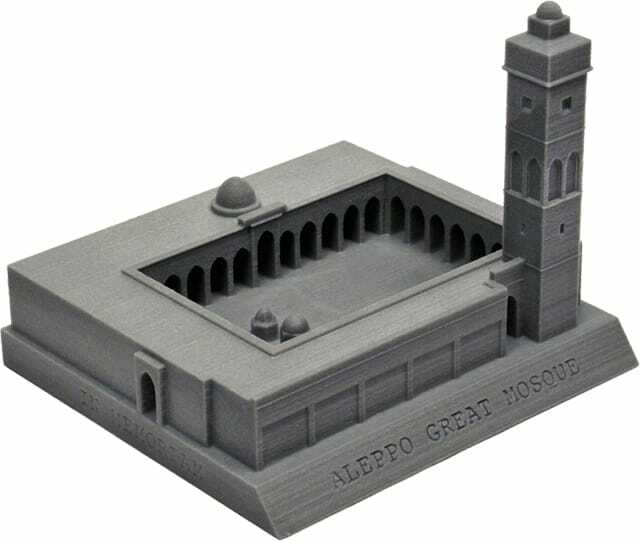 The second building in our IN MEMORIAM collection is the Great Mosque of Aleppo in Syria. 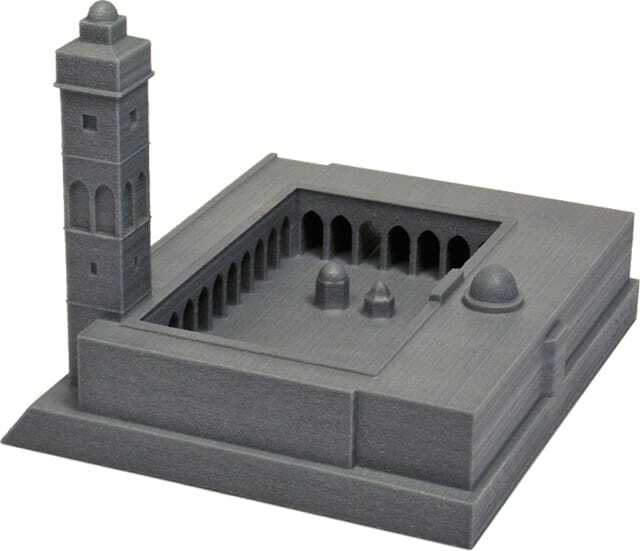 The mosque building complex, a World Heritage Site, dates back to the 11th Century. In 2012 the city of Aleppo became the battleground of Syrian Civil War. 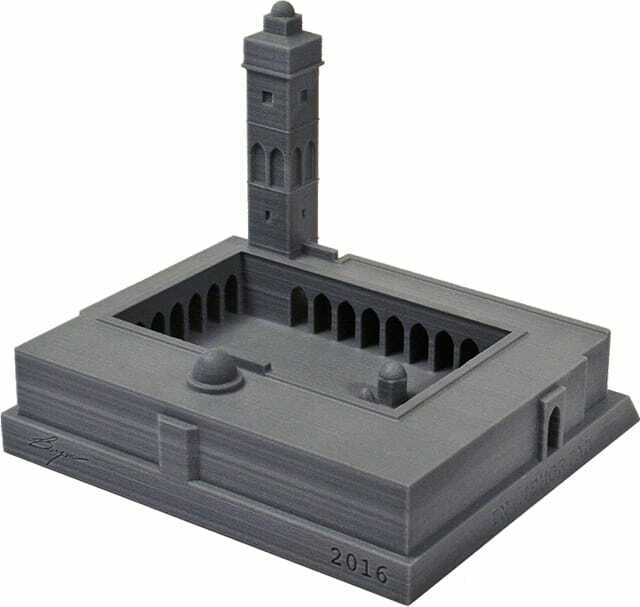 In April 2013 the minaret was reduced to rubble in circumstances, which are still unclear; both the rebels and Assad’s forces had blamed each other for this act of destruction. The pieces in our IN MEMORIAM collection are created per order, one-by-one, with an advanced technique of 3-D Sandstone Printing. The porcelain-like material allows for fine details, previously unattainable in our miniatures. Each piece is hand-finished, sealed, and consecutively numbered. It measures 4” by 4.5” by 3” high. No more than 200 will be made.